For active seamounts, see Submarine volcano. Bathymetric mapping of part of Davidson Seamount. The dots indicate significant coral nurseries. Mean sea level (MSL) is an average level of the surface of one or more of Earth's oceans from which heights such as elevation may be measured. MSL is a type of vertical datum – a standardised geodetic datum – that is used, for example, as a chart datum in cartography and marine navigation, or, in aviation, as the standard sea level at which atmospheric pressure is measured to calibrate altitude and, consequently, aircraft flight levels. A common and relatively straightforward mean sea-level standard is the midpoint between a mean low and mean high tide at a particular location. A total of 9,951 seamounts and 283 guyots, covering a total of 8,796,150 km2 (3,396,210 sq mi) have been mapped  but only a few have been studied in detail by scientists. Seamounts and guyots are most abundant in the North Pacific Ocean, and follow a distinctive evolutionary pattern of eruption, build-up, subsidence and erosion. In recent years, several active seamounts have been observed, for example Loihi in the Hawaiian Islands. Lōihi Seamount is an active submarine volcano about 35 km (22 mi) off the southeast coast of the island of Hawaii. The top of the seamount is about 975 m (3,000 ft) below sea level. This seamount is on the flank of Mauna Loa, the largest shield volcano on Earth. Lōihi, meaning "long" in Hawaiian, is the newest volcano in the Hawaiian-Emperor seamount chain, a string of volcanoes that stretches over 5,800 km (3,600 mi) northwest of Lōʻihi. Unlike most active volcanoes in the Pacific Ocean that make up the active plate margins on the Pacific Ring of Fire, Lōʻihi and the other volcanoes of the Hawaiian-Emperor seamount chain are hotspot volcanoes and formed well away from the nearest plate boundary. 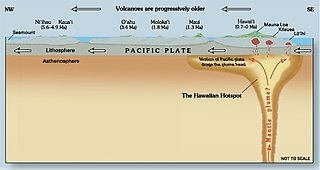 Volcanoes in the Hawaiian Islands arise from the Hawaii hotspot, and as the youngest volcano in the chain, Lōihi is the only Hawaiian volcano in the deep submarine preshield stage of development. The Hawaiian Islands are an archipelago of eight major islands, several atolls, numerous smaller islets, and seamounts in the North Pacific Ocean, extending some 1,500 miles from the island of Hawaiʻi in the south to northernmost Kure Atoll. 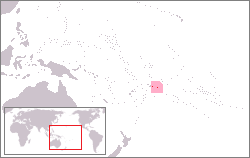 Formerly the group was known to Europeans and Americans as the Sandwich Islands, a name chosen by James Cook in honor of the then First Lord of the Admiralty John Montagu, 4th Earl of Sandwich. 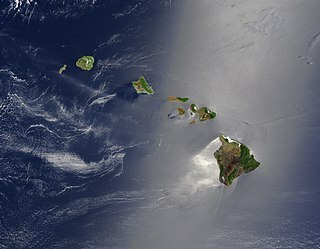 The contemporary name is derived from the name of the largest island, Hawaii Island. Because of their abundance, seamounts are one of the most common marine ecosystems in the world. Interactions between seamounts and underwater currents, as well as their elevated position in the water, attract plankton, corals, fish, and marine mammals alike. Their aggregational effect has been noted by the commercial fishing industry, and many seamounts support extensive fisheries. There are ongoing concerns on the negative impact of fishing on seamount ecosystems, and well-documented cases of stock decline, for example with the orange roughy (Hoplostethus atlanticus). 95% of ecological damage is done by bottom trawling, which scrapes whole ecosystems off seamounts. Marine ecosystems are the largest of Earth's aquatic ecosystems and are distinguished by waters that have a high salt content. These systems contrast with freshwater ecosystems, which have a lower salt content. Marine waters cover more than 70% of the surface of the Earth and account for more than 97% of Earth's water supply and 90% of habitable space on Earth. Marine ecosystems include nearshore systems, such as the salt marshes, mudflats, seagrass meadows, mangroves, rocky intertidal systems and coral reefs. They also extend outwards from the coast to include offshore systems, such as the surface ocean, pelagic ocean waters, the deep sea, oceanic hydrothermal vents, and the sea floor. Marine ecosystems are characterized by the biological community of organisms that they are associated with and their physical environment. Corals are marine invertebrates within the class Anthozoa of the phylum Cnidaria. They typically live in compact colonies of many identical individual polyps. Corals species include the important reef builders that inhabit tropical oceans and secrete calcium carbonate to form a hard skeleton. Because of their large numbers, many seamounts remain to be properly studied, and even mapped. Bathymetry and satellite altimetry are two technologies working to close the gap. There have been instances where naval vessels have collided with uncharted seamounts; for example, Muirfield Seamount is named after the ship that struck it in 1973. However, the greatest danger from seamounts are flank collapses; as they get older, extrusions seeping in the seamounts put pressure on their sides, causing landslides that have the potential to generate massive tsunamis. Bathymetry is the study of underwater depth of lake or ocean floors. In other words, bathymetry is the underwater equivalent to hypsometry or topography. The name comes from Greek βαθύς (bathus), "deep", and μέτρον (metron), "measure". Bathymetric charts are typically produced to support safety of surface or sub-surface navigation, and usually show seafloor relief or terrain as contour lines and selected depths (soundings), and typically also provide surface navigational information. Bathymetric maps may also use a Digital Terrain Model and artificial illumination techniques to illustrate the depths being portrayed. The global bathymetry is sometimes combined with topography data to yield a Global Relief Model. Paleobathymetry is the study of past underwater depths. The Muirfield Seamount is a submarine mountain located in the Indian Ocean approximately 130 kilometres southwest of the Cocos (Keeling) Islands. The Cocos Islands are an Australian territory, and therefore the Muirfield Seamount is within Australia's Exclusive Economic Zone (EEZ). The Muirfield Seamount is a submerged archipelago, approximately 2.5 kilometres in diameter and 16–18 metres below the surface of the sea. A 1999 biological survey of the seamount performed by the Australian Commonwealth Scientific and Industrial Research Organisation (CSIRO) revealed that the area is depauperate. Extrusive rock refers to the mode of igneous volcanic rock formation in which hot magma from inside the Earth flows out (extrudes) onto the surface as lava or explodes violently into the atmosphere to fall back as pyroclastics or tuff.This is as opposed to intrusive rock formation, in which magma does not reach the surface. A mantle plume is a proposed mechanism of convection of abnormally hot rock within the Earth's mantle. 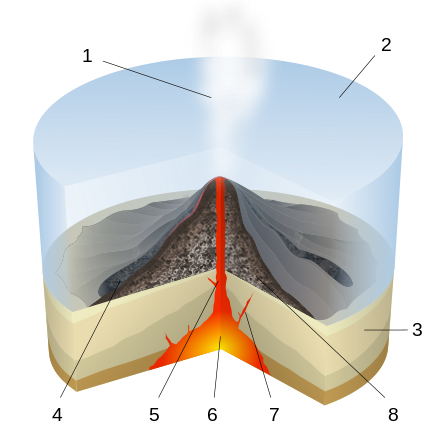 Because the plume head partly melts on reaching shallow depths, a plume is often invoked as the cause of volcanic hotspots, such as Hawaii or Iceland, and large igneous provinces such as the Deccan and Siberian traps. Some such volcanic regions lie far from tectonic plate boundaries, while others represent unusually large-volume volcanism near plate boundaries or in large igneous provinces. "Seamount chain" redirects here; for a broader coverage related to this topic, see Undersea mountain range. 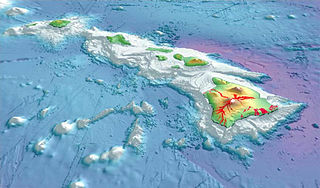 Seamounts are often found in groupings or submerged archipelagos, a classic example being the Emperor Seamounts, an extension of the Hawaiian Islands. Formed millions of years ago by volcanism, they have since subsided far below sea level. This long chain of islands and seamounts extends thousands of kilometers northwest from the island of Hawaii. There are more seamounts in the Pacific Ocean than in the Atlantic, and their distribution can be described as comprising several elongate chains of seamounts superimposed on a more or less random background distribution. Seamount chains occur in all three major ocean basins, with the Pacific having the most number and most extensive seamount chains. These include the Hawaiian (Emperor), Mariana, Gilbert, Tuomotu and Austral Seamounts (and island groups) in the north Pacific and the Louisville and Sala y Gomez ridges in the southern Pacific Ocean. In the North Atlantic Ocean, the New England Seamounts extend from the eastern coast of the United States to the mid-ocean ridge. Craig and Sandwell  noted that clusters of larger Atlantic seamounts tend to be associated with other evidence of hotspot activity, such as on the Walvis Ridge, Bermuda Islands and Cape Verde Islands. The mid-Atlantic ridge and spreading ridges in the Indian Ocean are also associated with abundant seamounts. Otherwise, seamounts tend not to form distinctive chains in the Indian and Southern Oceans, but rather their distribution appears to be more or less random. Diagram of a submarine eruption. (key: 1. Water vapor cloud 2. Water 3. Stratum 4. Lava flow 5. Magma conduit 6. Magma chamber 7. Dike 8. Pillow lava) Click to enlarge. Pillow lava, a type of basalt flow that originates from lava-water interactions during submarine eruptions. Grenadier fish (Coryphaenoides sp.) and bubblegum coral (Paragorgia arborea) on the crest of Davidson Seamount. These are two species attracted to the seamount; Paragorgia arborea in particular grows in the surrounding area as well, but nowhere near as profusely. Because of overfishing at their seamount spawning grounds, stocks of orange roughy (Hoplostethus atlanticus) have plummeted; experts say that it could take decades for the species to restore itself to its former numbers. Coral earrings of this type are often made from coral harvested off seamounts. Graph showing the rise in global sea level (in mm) as measured by the NASA/CNES oceanic satellite altimeter TOPEX/Poseidon (left) and its follow-on mission Jason-1. USS San Francisco in dry dock in Guam in January 2005, following its collision with an uncharted seamount. The damage was extensive and the submarine was just barely salvaged. A shield volcano is a type of volcano usually composed almost entirely of fluid lava flows. It is named for its low profile, resembling a warrior's shield lying on the ground. This is caused by the highly fluid lava erupted, which travels farther than lava erupted from a stratovolcano, and results in the steady accumulation of broad sheets of lava, building up the shield volcano's distinctive form. The fifteen volcanoes that make up the eight principal islands of Hawaii are the youngest in a chain of more than 129 volcanoes that stretch 5,800 kilometres (3,600 mi) across the North Pacific Ocean, called the Hawaiian-Emperor seamount chain. Hawaiʻi's volcanoes rise an average of 4,572 metres (15,000 ft) to reach sea level from their base. The largest, Mauna Loa, is 4,169 metres (13,678 ft) high. As shield volcanoes, they are built by accumulated lava flows, growing a few meters/feet at a time to form a broad and gently sloping shape. Axial Seamount is a seamount and submarine volcano located on the Juan de Fuca Ridge, approximately 480 km (298 mi) west of Cannon Beach, Oregon. Standing 1,100 m (3,609 ft) high, Axial Seamount is the youngest volcano and current eruptive center of the Cobb–Eickelberg Seamount chain. Located at the center of both a geological hotspot and a mid-ocean ridge, the seamount is geologically complex, and its origins are still poorly understood. Axial Seamount is set on a long, low-lying plateau, with two large rift zones trending 50 km (31 mi) to the northeast and southwest of its center. The volcano features an unusual rectangular caldera, and its flanks are pockmarked by fissures, vents, sheet flows, and pit craters up to 100 m (328 ft) deep; its geology is further complicated by its intersection with several smaller seamounts surrounding it. Bowie Seamount is a large submarine volcano in the northeastern Pacific Ocean, located 180 km (110 mi) west of Haida Gwaii, British Columbia, Canada. The Hawaii hotspot is a volcanic hotspot located near the namesake Hawaiian Islands, in the northern Pacific Ocean. One of the most well-known and heavily studied hotspots in the world, the Hawaii plume is responsible for the creation of the Hawaiian – Emperor seamount chain, a chain of volcanoes over 5,800 kilometres (3,600 mi) long. Four of these volcanoes are active, two are dormant, and more than 123 are extinct, many having since been ground beneath the waves by erosion as seamounts and atolls. The chain extends from south of the island of Hawaiʻi to the edge of the Aleutian Trench, near the eastern edge of Russia. Davidson Seamount is a seamount located off the coast of Central California, 80 mi (129 km) southwest of Monterey and 75 mi (121 km) west of San Simeon. At 26 mi (42 km) long and 8 mi (13 km) wide, it is one of the largest known seamounts in the world. From base to crest, the seamount is 7,480 ft (2,280 m) tall, yet its summit is still 4,101 ft (1,250 m) below the sea surface. The seamount is biologically diverse, with 237 species and 27 types of deep-sea coral having been identified. Daikakuji Seamount is a seamount and the southwesternmost volcanic feature in the Hawaiian Emperor chain bend area. Rodriguez Seamount is a seamount and guyot located about 150 km (93 mi) off the coast of Central California. It is structurally similar to the nearby Guide, Pioneer, Gumdrop, and Davidson seamounts, all located roughly between 37.5° and 34.0° degrees of latitude. This group of seamounts is morphologically unique, and the mounts are very similar to one another. The seamount structures run parallel to an ancient spreading center which has since been replaced in its role by the San Andreas Fault system. Monowai is a volcanic seamount to the north of New Zealand. It is formed by a large caldera and a volcanic cone just south-southeast from the caldera that rises to depths of 100 metres (330 ft) but its depth varies with ongoing volcanic activity, including sector collapses and the growth of lava domes. The seamount was discovered at some point between 1877 and 1977 and is one of the most active volcanoes in the Kermadec volcanic arc, with many eruptions since 1977. Volcanic activity is characterised by the emission of gas and discolouration of water, along with seismic activity and a substantial growth rate of the volcano. Ongoing hydrothermal activity has also been observed and hydrothermal vents on Monowai feature a rich fauna. Vailulu'u is a volcanic seamount discovered by in 1975. It rises from the sea floor to a depth of 593 m and is located between Ta'u and Rose islands at the eastern end of the Samoa hotspot chain. The basaltic seamount is considered to mark the current location of the Samoa hotspot. The summit of Vailulu'u contains a 2 km wide, 400 m deep oval-shaped caldera. Two principal rift zones extend east and west from the summit, parallel to the trend of the Samoan hotspot. A third less prominent rift extends southeast of the summit. Tropic Seamount is a Cretaceous seamount southwest of the Canary Islands and north of Cape Verde, one of a number of seamounts in this part of the Atlantic Ocean. It was probably formed by volcanic processes triggered by the proximity to the African continent. Tropic Seamount is located at a depth of 970 metres (3,180 ft) and has a summit platform with an area of 120 square kilometres (46 sq mi). 1 2 3 IHO, 2008. Standardization of Undersea Feature Names: Guidelines Proposal form Terminology, 4th ed. International Hydrographic Organisation and Intergovernmental Oceanographic Commission, Monaco. 1 2 3 4 5 6 7 8 9 10 11 12 "Seamount". Encyclopedia of Earth . December 9, 2008. Retrieved 24 July 2010. 1 2 Craig, C.H. ; Sandwell, D.T. (1988). "Global distribution of seamounts from Seasat profiles". Journal of Geophysical Research. 93 (B9): 10408–410, 420. Bibcode:1988JGR....9310408C. doi:10.1029/jb093ib09p10408. ↑ Kitchingman, A., Lai, S., 2004. Inferences on Potential Seamount Locations from Mid-Resolution Bathymetric Data. in: Morato, T., Pauly, D. (Eds. ), FCRR Seamounts: Biodiversity and Fisheries. Fisheries Centre Research Reports. University of British Columbia, Vanvouver, BC, pp. 7–12. 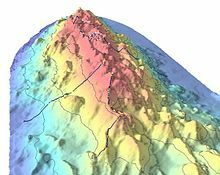 1 2 "Seamount Scientists Offer New Comprehensive View of Deep-Sea Mountains". ScienceDaily. 23 February 2010. Retrieved 25 July 2010. 1 2 "Seamounts Identified as Significant, Unexplored Territory". ScienceDirect. 30 April 2010. Retrieved 25 July 2010. 1 2 3 4 5 6 7 8 9 10 Hubert Straudigal & David A Clauge. "The Geological History of Deep-Sea Volcanoes: Biosphere, Hydrosphere, and Lithosphere Interactions" (PDF). Oceanography . Seamounts Special Issue. 32 (1). Archived from the original (PDF) on 13 June 2010. Retrieved 25 July 2010. ↑ K. Hoernle; F. Hauff; R. Werner; P. van den Bogaard; A. D. Gibbons; S. Conrad & R. D. Müller (27 November 2011). "Origin of Indian Ocean Seamount Province by shallow recycling of continental lithosphere". Nature Geoscience . 4 (12): 883–887. Bibcode:2011NatGe...4..883H. CiteSeerX 10.1.1.656.2778 . doi:10.1038/ngeo1331. ↑ "Pillow lava". NOAA . Retrieved 25 July 2010. ↑ "SITE 1206". Ocean Drilling Program Database-Results of Site 1206. Ocean Drilling Program . Retrieved 26 July 2010. ↑ Rubin, Ken (January 19, 2006). "General Information About Loihi". Hawaii Center for Volcanology. SOEST . Retrieved 26 July 2010. ↑ "The Bowie Seamount Area" (PDF). John F. Dower and Frances J. Fee. February 1999. Retrieved 26 July 2010. ↑ "Guyots". Encyclopædia Britannica . Retrieved 24 July 2010. 1 2 3 "Seamounts may serve as refuges for deep-sea animals that struggle to survive elsewhere". PhysOrg. February 11, 2009. Retrieved December 7, 2009. ↑ "Davidson Seamount" (PDF). NOAA, Monterey Bay National Marine Sanctuary. 2006. Retrieved 2 December 2009. 1 2 Pual Wessel; David T. Sandwell; Seung-Sep Kim. "The Global Seamount Census" (PDF). Oceanography . Seamounts Special Issue. 23 (1). ISSN 1042-8275. Archived from the original (PDF) on 13 June 2010. Retrieved 25 June 2010. ↑ Higashi, Y; et al. (2004). "Microbial diversity in hydrothermal surface to subsurface environments of Suiyo Seamount, Izu-Bonin Arc, using a catheter-type in situ growth chamber". FEMS Microbiology Ecology. 47 (3): 327–336. doi:10.1016/S0168-6496(04)00004-2. PMID 19712321. ↑ "Introduction to the Biology and Geology of Lōʻihi Seamount". Lōʻihi Seamount. Fe-Oxidizing Microbial Observatory (FeMO). 2009-02-01. Retrieved 2009-03-02. ↑ Kennedy, Jennifer. "Seamount: What is a Seamount?". ask.com . Retrieved 25 July 2010. 1 2 Morato, T., Varkey, D.A., Damaso, C., Machete, M., Santos, M., Prieto, R., Santos, R.S. and Pitcher, T.J. (2008). "Evidence of a seamount effect on aggregating visitors". Marine Ecology Progress Series 357: 23–32. 1 2 3 4 "Seamounts – hotspots of marine life". International Council for the Exploration of the Sea. Archived from the original on 13 April 2010. Retrieved 24 July 2010. 1 2 "CenSeam Mission". CenSeam. Archived from the original on 24 May 2010. Retrieved 22 July 2010. ↑ Report of the Secretary-General (2006) The Impacts of Fishing on Vulnerable Marine Ecosystems United Nations. 14 July 2006. Retrieved on 26 July 2010. ↑ "CenSeam Science". CenSeam. Retrieved 22 July 2010. ↑ "Bowie Seamount Marine Protected Area". Fisheries and Oceans Canada. 1 October 2011. Retrieved 31 December 2011. ↑ Amos, Jonathan. "Satellites detect 'thousands' of new ocean-bottom mountains" BBC News , 2 October 2014. ↑ "New Map Exposes Previously Unseen Details of Seafloor"
↑ Sandwell, David T.; Müller, R. Dietmar; Smith, Walter H. F.; Garcia, Emmanuel; Francis, Richard (2014). 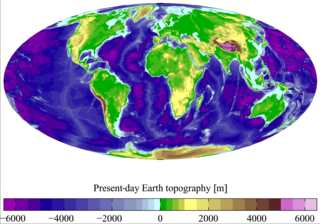 "New global marine gravity model from CryoSat-2 and Jason-1 reveals buried tectonic structure". Science. 346 (6205): 65–67. Bibcode:2014Sci...346...65S. doi:10.1126/science.1258213. PMID 25278606. 1 2 James R. Hein; Tracy A. Conrad; Hubert Staudigel. "Seamount Mineral Deposits: A Source for Rare Minerals for High Technology Industries" (PDF). Oceanography . Seamounts Special Issue. 23 (1). ISSN 1042-8275. Archived from the original (PDF) on 13 June 2010. Retrieved 26 July 2010. ↑ Muller, Daniel; Leander Franz; Sven Petersen; Peter Herzig; Mark Hannington (2003). "Comparison between magmatic activity and gold mineralization at Conical Seamount and Lihir Island, Papua New Guinea". Mineralogy and Petrology. 79 (3–4): 259–283. Bibcode:2003MinPe..79..259M. doi:10.1007/s00710-003-0007-3. 1 2 "USS San Francisco (SSN 711)". Archived from the original on 25 September 2009. Retrieved 25 July 2010. ↑ Nigel Calder (2002). How to Read a Navigational Chart: A Complete Guide to the Symbols, Abbreviations, and Data Displayed on Nautical Charts. International Marine/Ragged Mountain Press. ↑ Seach, John. 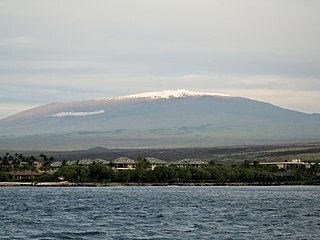 "Kohala Volcano". Volcanism reference base. John Seach, vulcanologist. Retrieved 25 July 2010. ↑ "Hawaiian tsunami left a gift at foot of volcano". New Scientist (2464): 14. 2004-09-11. Retrieved 25 July 2010. Keating, B.H., Fryer, P., Batiza, R., Boehlert, G.W. (Eds. ), 1987: Seamounts, islands and atolls . Geophys. Monogr. 43:319–334. Menard, H.W. (1964). Marine Geology of the Pacific . International Series in the Earth Sciences. McGraw-Hill, New York, 271 pp. Clark, M. R.; Rowden, A. A.; Schlacher, T.; Williams, A.; Consalvey, M.; Stocks, K. I.; Rogers, A. D.; O'Hara, T. D.; White, M.; Shank, T. M.; Hall-Spencer, J. M. (2010). "The Ecology of Seamounts: Structure, Function, and Human Impacts". Annual Review of Marine Science. 2: 253–278. Bibcode:2010ARMS....2..253C. doi:10.1146/annurev-marine-120308-081109. PMID 21141665. Richer de Forges; J. Anthony Koslow & G. C. B. Poore (22 June 2000). "Diversity and endemism of the benthic seamount fauna in the southwest Pacific". Nature . 405 (6789): 944–947. doi:10.1038/35016066. PMID 10879534. Koslow, J.A. (1997). "Seamounts and the ecology of deep-sea fisheries". Am. Sci. 85 (2): 168–176. Bibcode:1997AmSci..85..168K. Lundsten, L; McClain, CR; Barry, JP; Cailliet, GM; Clague, DA; DeVogelaere, AP (2009). "Ichthyofauna on Three Seamounts off Southern and Central California, USA". Marine Ecology Progress Series. 389: 223–232. Bibcode:2009MEPS..389..223L. doi:10.3354/meps08181. Earthref Seamount Catalogue. A database of seamount maps and catalogue listings. Volcanic History of Seamounts in the Gulf of Alaska. The giant Ruatoria debris avalanche on the northern Hikurangi margin, New Zealand. Aftermath of a seamount carving into the far side of a subduction trench. Evolution of Hawaiian volcanoes. The life cycle of seamounts was originally observed off of the Hawaiian arc. How Volcanoes Work: Lava and Water. An explanation of the different types of lava-water interactions. A review of the effects of seamounts on biological processes. NOAA paper. Mountains in the Sea, a volume on the biological and geological effects of seamounts, available fully online. Vulnerability of deep sea corals to fishing on seamounts beyond areas of national jurisdiction, United Nations Environment Program.